The Libertines - which includes Carl Barât, Gary Powell and John Hassall - were performing at the Clockenflap festival in the city alongside New Order and Damien Rice but things got messy at an after-party when Doherty "fell across the room" and "took a swing" at the fellow musician. Swervedriver's frontman Adam told NME: "The hotel bar at the W Hotel in Kowloon was finally closing on Saturday night and someone invited Doherty and a few others back to our hotel room where there was a little after-party going on. "He can't have been in the room for more than a minute or two before some kerfuffle broke out across the room - you'd have to ask him what that was about, although good luck getting anything out of him as he surely won't f***ing remember - and he fell across to the side of the room where I was sat having a chat with Gary and a couple of friends." Proving that indie music is still rock 'n' roll as ever, the singer alleged that Doherty "then suddenly took a swing at me and missed, I stood up and decked him and that was it. Gary, who I have to say is a lovely bloke, helped get him out of the room and [Doherty] was screaming 'He hit me! He hit me!' while people were pointing out to him that he had in fact tried to hit me first". 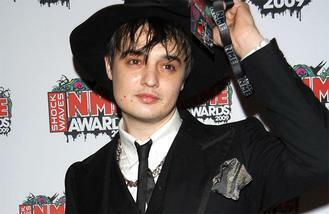 The 'Setting Sun' hitmaker continued: "Apparently I had said, 'So you're the famous Pete Doherty?' As I stood over him before they dragged him out, which entertained everybody else in the room and probably annoyed him but what was I supposed to say? He hadn't even introduced himself!" Meanwhile, a Libertines spokesperson confirmed that an incident had occurred in Hong Kong and told NME: "With adrenaline running high after the show in Hong Kong, there was an unfortunate short altercation/misunderstanding of which no one was injured and apologies were made soon after."